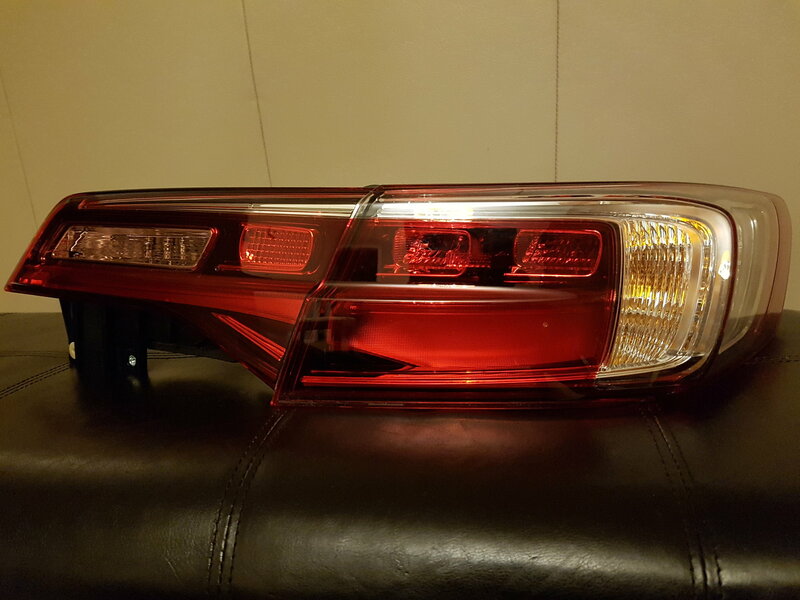 2013-2015 Rear taillight conversion to the newer post 2016 model years! ***** First I must say that I did this a while ago and I no longer have my 2013 Acura ILX for a reference, I can not take any additional pictures and am using the ones I took for my install..... please forgive me if I forget something??? Is this what you want????? 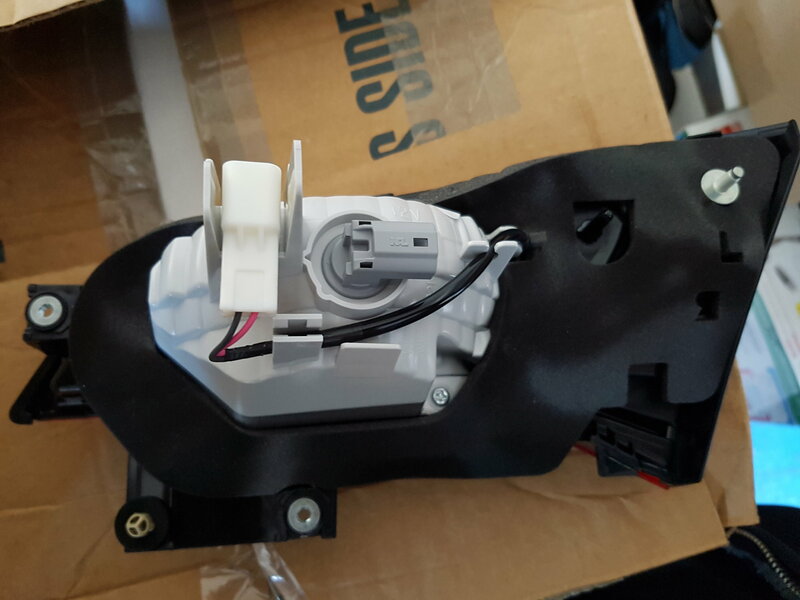 The side taillights are plug and play with no modifications. Just open up the trunk, pop off the plastic clips to reveal two screws. Pull out the taillight assembly, yes it will just pull right out as long as you pull it straight out (you might need to give it a light tap on the side of it). Then twist and unplug the two light bulb harnesses. 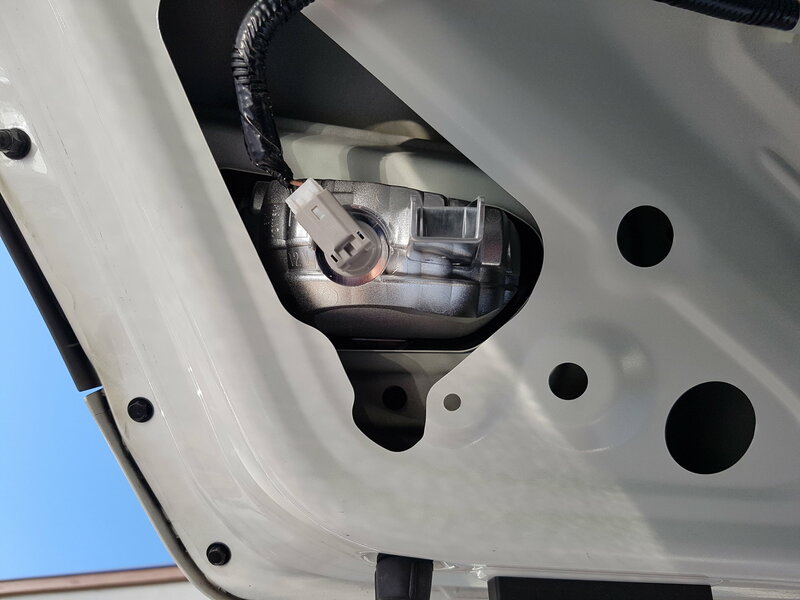 Newer Version - Rear passenger taillight (Rear) - Yup that stock wiring harness plugs right in there and its dummy proof as they are different sized for each of the two wiring harnesses. 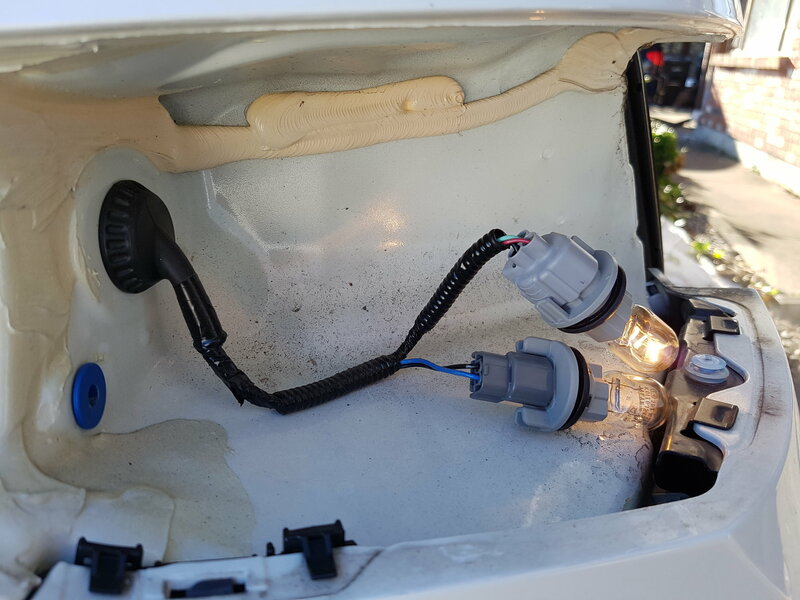 After installing the rear clips to the vehicle wiring harness, place the taillights back into the vehicle - Ensuring that the extended plastic piece fits into the blue hole/grommet. Then replace the 2 screws and then the plastic cover. Ahhh, if only it were that simple..... Next comes the trunk/centre middle pieces and they are the more complicated ones! There is a little more work to remove these ones and In the 2013-2015 version there is only the reverse light, however the 2016+ model years have the LED night light. 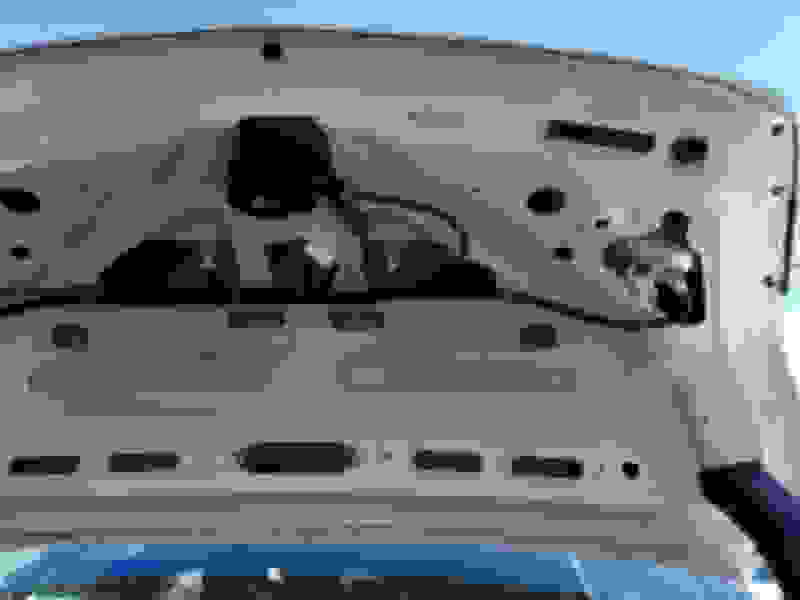 - Remove the inner trunk liner, should be plastic plugs that just pull straight out (I believe there is a screw near the centre trunk latch - Remove this as well before pulling out the fabric liner). Trunk lid without fabric liner. Close up with stock driver side taillight - Notice there is only one clip and one stock wiring harness for the reverse lights. 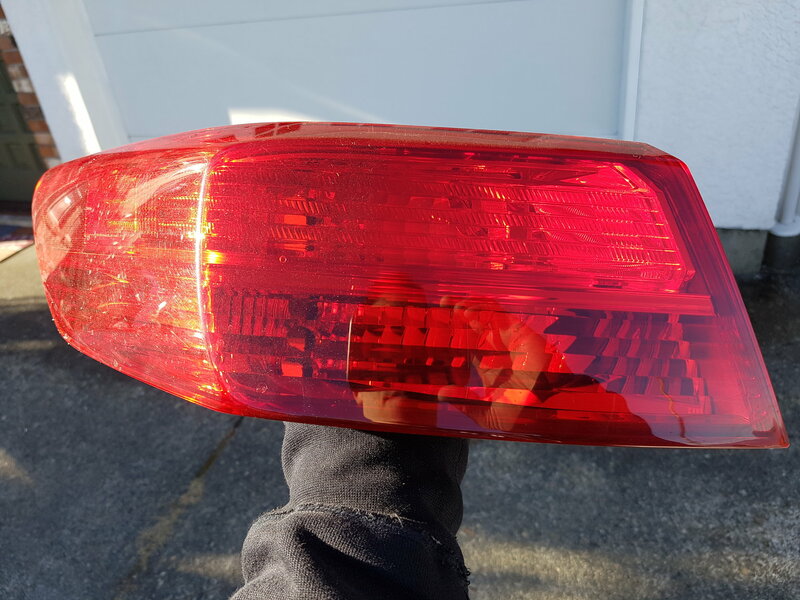 - "Carefully" pull up the portion of the trunk lid that supports the taillights (there is adhesive that if you are not careful you will need to replace - I did not have to replace it and had no leaks). 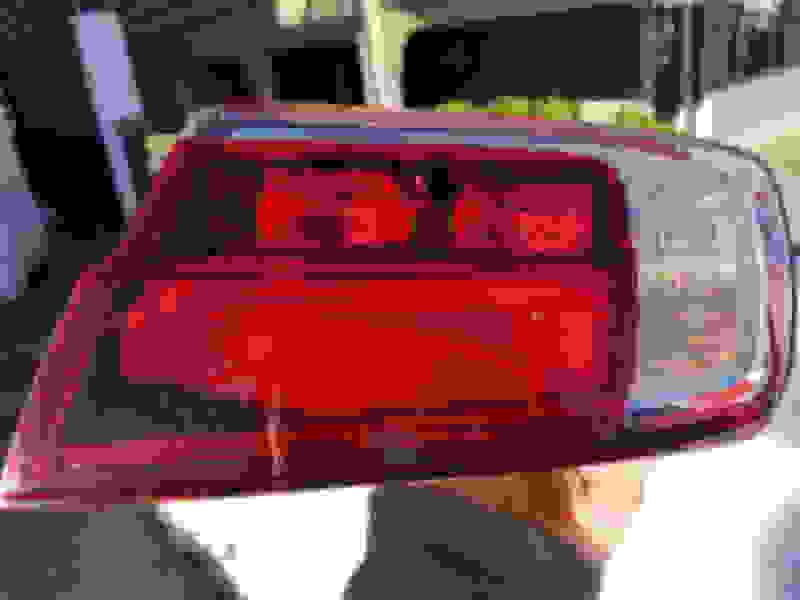 - Remove the old taillight. You will notice there are 3 wiring harnesses in the middle of the trunk lid - The center one is for the locking mechanism, the other two are for the license plate lights. 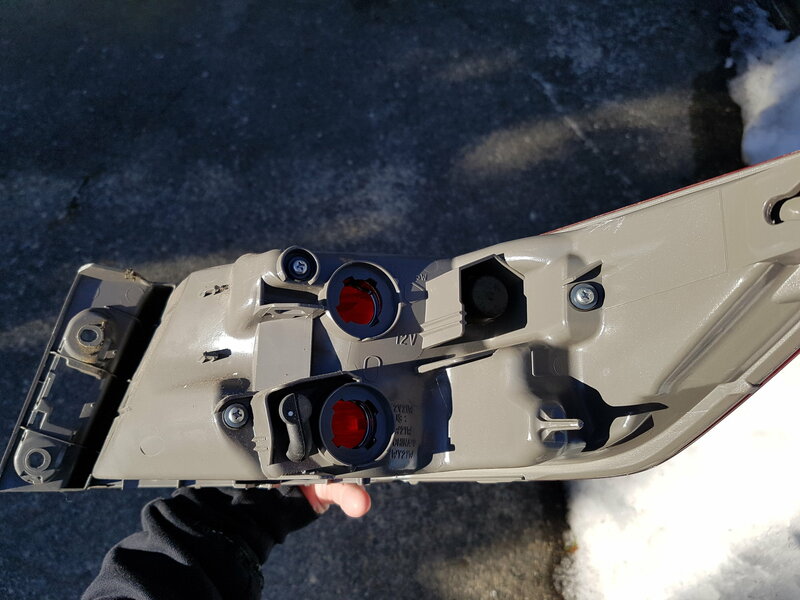 You will need to splice 2 wires from each of the license plate lights to run power to the center LEDs to turn them on at night for the new taillight assembly. 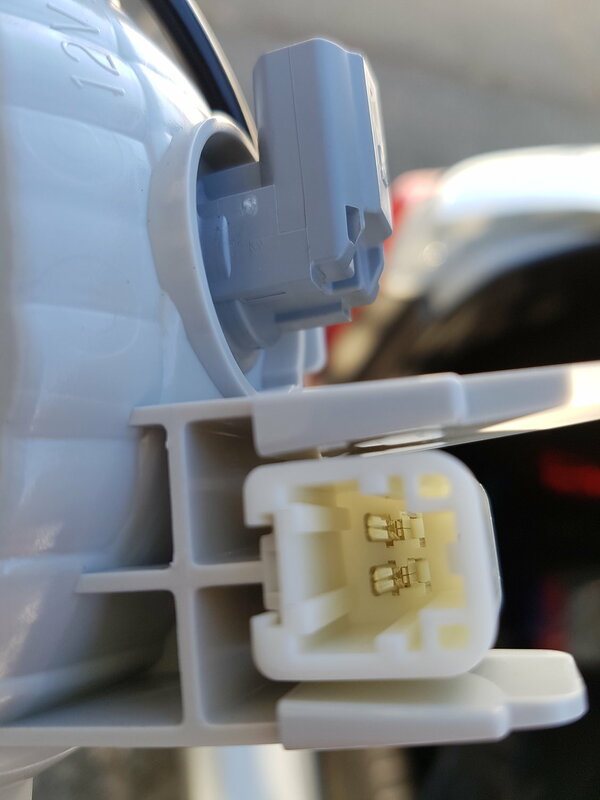 Notice how small these 2 prongs are, I used a very small female connector. *** Make sure you have a cover over each connector so they do not touch! - Install the both of the newer version of the taillights (being careful with the trunk adhesive). - Replace the taillight screws. - Replace the rear fabric cover plugs and the screw for the locking mechanism. Again, I am sorry I may be slightly off on my description above - But I believe that should do it! Please enjoy - This was one of my favorite cosmetic modifications to my car that really separated it from all of the other 2013-2015 models out there! I actually liked the look of the rear of my vehicle after this mod, over the newer ones. 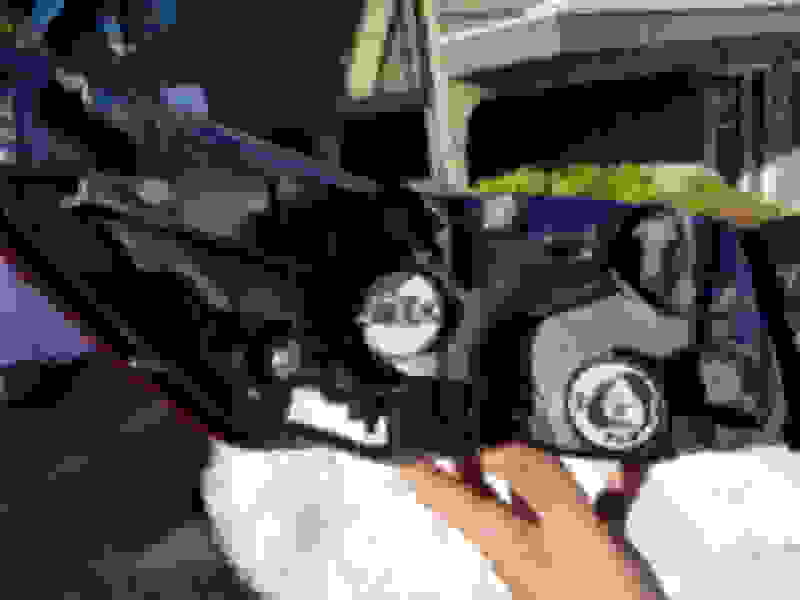 If you liked this modification, you can check out what else I did to my 2013 Acura ILX Dynamic at: "MY 2013 BUILD" thread here on Acurazine. Nice job. 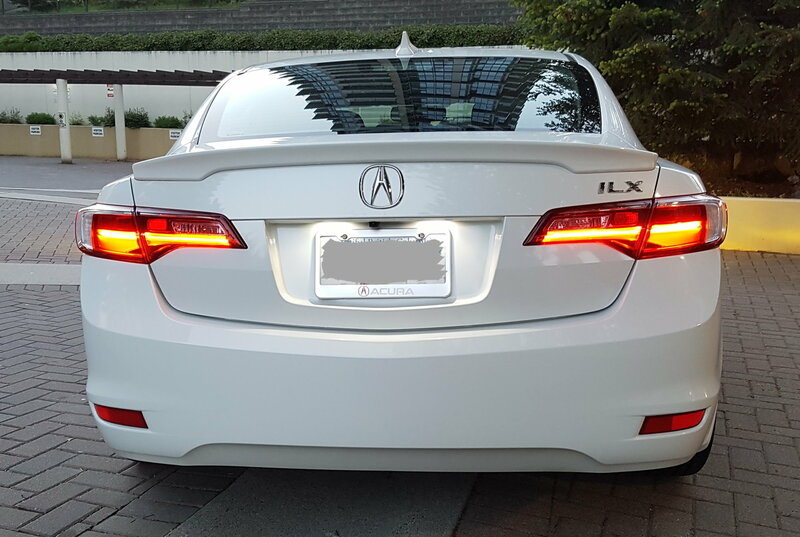 I agree that the 2016-2018 taillights look much nicer. 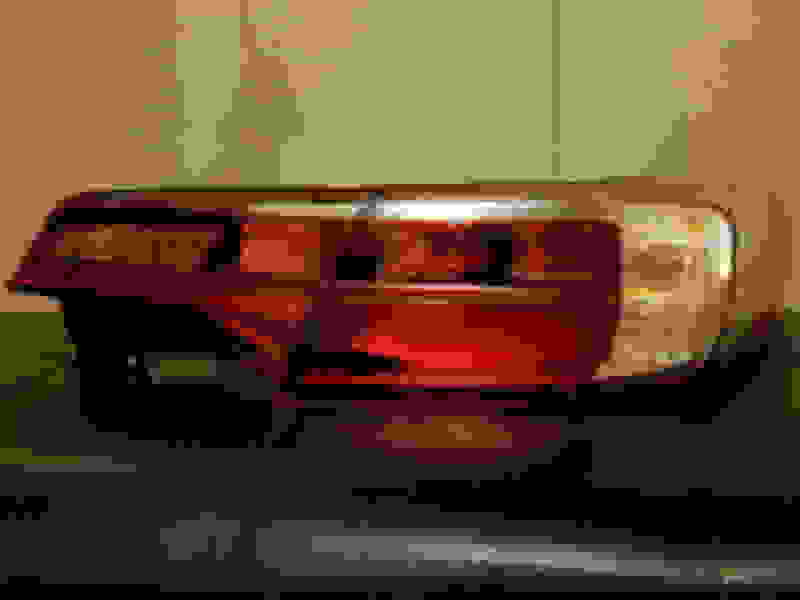 WTT/WTB:Trade black smoke taillight for 03 taillight? Trade black smoke taillight for 03 taillight?